In the evening of my life, it is interesting for me to ponder over the life and times I had in my chosen academic field of Neurology. Perhaps it is easier for me to start from the middle and go back and forth to remember the people who influenced me, the events which mattered, the work I enjoyed, the chances I missed, the small victories I won, the failures I endured and the kindness and help I got from my near and dear ones. I represent a generation which had the unique fortune to see neurosciences emerging from the chaos of confusion and transforming to a very vigorous, vibrant and vivacious force in medicine. My story, I truly believe, however, much it may appear a personal one, would be representing those of many others in my generation, now totally forgotten, who started specialty services in the small towns of India. 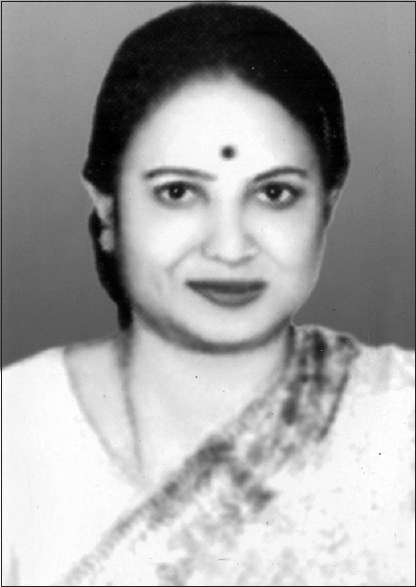 The twenty-second annual conference of the Neurological Society of India (NSI) was held in Lucknow in 1972. It was the first NSI session I attended. I was doing my DM training in AIIMS, New Delhi. It was a simple two day function but I was fascinated by the presence of glitterati of the function like Dr. Jacob Chandy (1910-2007) from Vellore, the pioneer neurosurgeon and the then kingmaker in neurosciences in India, Dr. B Ramamurthi (1922-2003) the all-time great Indian grand master of Neurosurgery from Madras, Dr. Baldev Singh (1904 – 1998), the 'Papa Neuron' from New Delhi, Dr. T.K. Ghosh (1912–1996) of Calcutta, Dr. Noshir Wadia (1925-2016) of Bombay, and others. 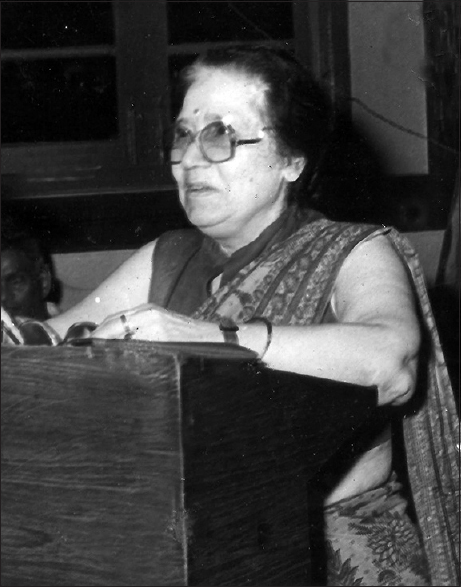 There were hardly three or four women delegates there like Dr. Vimla Virmani (1919-1999), Dr. Janaki (1927-2010, both from New Delhi) in that conference [Figure 1], [Figure 2], [Figure 3], [Figure 4]. Apart from the Presidential oration, there were only free paper sessions. There were no other orations, poster presentations or continuing medical education programs. As luck would have it, mine was the first paper in that session and naturally I felt elated. The banquet and the dinner party were really grand with every one joining together in merry-making and dancing. The senior most among the lot was Dr. Jacob Chandy who was then just sixty-two years old. The camaraderie surprised me, and in the comparatively small group, every one knew each other by first name. There was no division between neurosurgeons and neurologists or between senior or junior colleagues as every one of us felt equal. We, who joined just that year, were cordially invited to their group. We had heard the stories of a foursome group, Dr. Jacob Chandy, Dr. B Ramamurthi, Dr. Baldev Singh and Dr. S.T. Narasimhan, who started a national society for neuroscientists way back in 1951 and how it prospered in the next couple of decades to become a very important medical science society in India. As one who came from the southernmost state, I was pleased to be a part of that elite society. Post-postgraduate courses in neurosciences were initially started in 1960s in Vellore, Madras, New Delhi, Bombay and Chandigarh. The annual intake for M.S. Neurosurgery (later changed to M. Ch Neurosurgery) and D.M Neurology ranged from one to two in each center. There was an exceedingly tough all India competition for each one of these seats. There were only a few teachers who got their training from various centers abroad. There was no uniformity in the course duration, curricula, the training and the examination methods or even in the degree offered for the first two or three batches of students. By the time I joined All India Institute of Medical Sciences, New Delhi (AIIMS), there was quite significant streamlining of the training both for Neurology and Neurosurgery. Life in AIIMS was enjoyable with teachers like Dr. Baldev Singh, Dr. Sumedha Pathak, Dr Vimla Virmani, Dr. P. N. Tandon, Dr. A.K. Banerjee, and others. We had heard about the stereotactic studies of Dr. B Ramamurthi and his team in the Institute of Neurology, Madras, the very first such Institute in the whole of Asia. With some difficulty, I managed a short leave from AIIMS to go and see the type of work done by Dr. B. Ramamurthi and his team. Though I did not join, I was selected for D.M Neurology course at Madras Medical College prior to my admission in AIIMS. My fervor for stereotactic surgery faded soon but the dazzling brilliance of Dr. B Ramamurthi persisted in my mind. He was rare phenomenon with a great vision in his academic field, an orator par excellence and a person with a keen sense of history. The friendships I developed in Madras with Dr. G. Arjundas, Dr. K. Jagannathan, Dr. S. Kalyanaraman, Dr. V. Balasubramanium, Dr. C. U. Velumugendran, Dr. K. Srinivasan, and Dr. Krishnamoorthi Srinivas continued through out my academic career. The story I am recounting now would be almost the same, possibly with minor local variations, as that narrated by most of the other senior colleagues, who had to build up their department of neurosciences in different parts of India. I was the first to start a department of Neurology in Calicut in the northern part of Kerala. Specialty departments at that time could be started in Medical Colleges only, as private sector hospitals were very few and they did not have the wherewithal for such an experimentation to venture into specialty medicine. Perhaps it would be embarrassing to restate the trials and tribulations of a single teacher to establish a new department in those destitute days in difficult areas. Every one of my colleagues who took up the jobs in mofussil regions of India faced the obstacles as I did. (Incidentally the word mofussil has an interesting beginning. It originated in the East India Company days when places other than their company capitals, Bombay, Calcutta and Madras were considered rural or mofussil areas). Ramamurthi has given a vivid description of the beginning of his neurosurgery department in Madras Medical College., We were given no hospital beds, no staff, no equipment, no facilities in the hospitals and had to face the extreme resentment from colleagues due to our starting a new department. They were unhappy because they thought we would deprive them their unquestioned supremacy. With sheer determination, we managed to have some primitive facilities allotted. There was no supporting staff. The entire department had one person who acted as the head of the department, the staff, the houseman, the teacher, the technician, the typist and the attender. Most of the neurosurgeons had to act as barbers and trolley pullers too, to take their patients for surgery. We did not have any sophisticated equipment and asking for them was almost criminal in those days when severe financial contingency existed all over India. The available equipment was primeval by today's standards. The Indian made electroencephalograph (EEG) machine used to break down every now and then and repairing would need the technicians coming from far away places. Since there was no EEG technician, the consultant himself had to do the recoding. The single channel electyromyograph machine looked like an oscilloscope and the recording was to be done by a Polaroid camera. The camera was available but not its film, which was costly and just not to be had in our places. It may seem unbelievable but we used a SLR (Single Lens Reflex) camera with 35 mm roll film to capture the waves and events. This used to be a luck testing gimmick with the manual SLR camera but we managed that also. Since the photographer attached to our college was a very busy politician as well, we learned the dark room techniques to develop the films too. The only support which we had was from the hundreds of patients coming from different parts of the state on a daily basis. Gradually, a few beds at different far away wards of the hospital and some space for keeping our machinery were allotted with great reluctance by the college authorities. A fresh MBBS tutor from Medicine was posted as an interim assistant. To see hundreds of patients in the outpatient clinic every day and treating admitted patients (in 'our' beds and those of other medical/surgical/orthopedic/otorhinolaryngology/pediatric units too) left us precious little time to concentrate on our research projects. Most of the specialists who started their career in those days decided to do away with luxuries such as research and spent their whole time on countless numbers of patients with seizures, strokes, tuberculous meningitis, leprous neuropathies, central nervous system infections, and with all sorts of miscellanea coming even at odd hours of the day. Eclampsia and puerperal cerebral venous thrombosis were nightmares for which we were called for consultation almost daily (no, nightly!) from Obstetrics Department. The only intravenous antiepileptics available (that too infrequently) were phenobarbitone and diazepam, and patient monitoring in the 'septic labor rooms' was almost impossible. Our duty time was 24 hours of the day and 365 days an year! It was a wonder how we survived those days. It is in this background that we dared to start our research projects also. We were baffled by many obscure neurological syndromes that we encountered daily. They were not found in the Neurology text books and journals then available. There was none to ask also. I came to know that there were a few other consultants like Drs. TK Ghosh [Figure 5], K. S. Mani, K. Jagannathan [Figure 6], C.U. Velmurugendran, Devika Nag, K. Srinivasan, in different parts of India who were concerned about such 'local' problems. When we started talking about geographical Neurology, initially there were no takers. We were ridiculed too. But every region of this big country has its own peculiar problems- be it fluorosis, manganese or arsenic poisoning, young-onset motor neuron diseases with its own different clinical spectra, hereditary neuropathies of different types, hot water epilepsy, South Indian paraplegia, aneurysmal subarachnoid hemorrhage, atlanto-axial dislocations etc. Some diseases like multiple sclerosis which were considered most unlikely to occur in India were also seen. 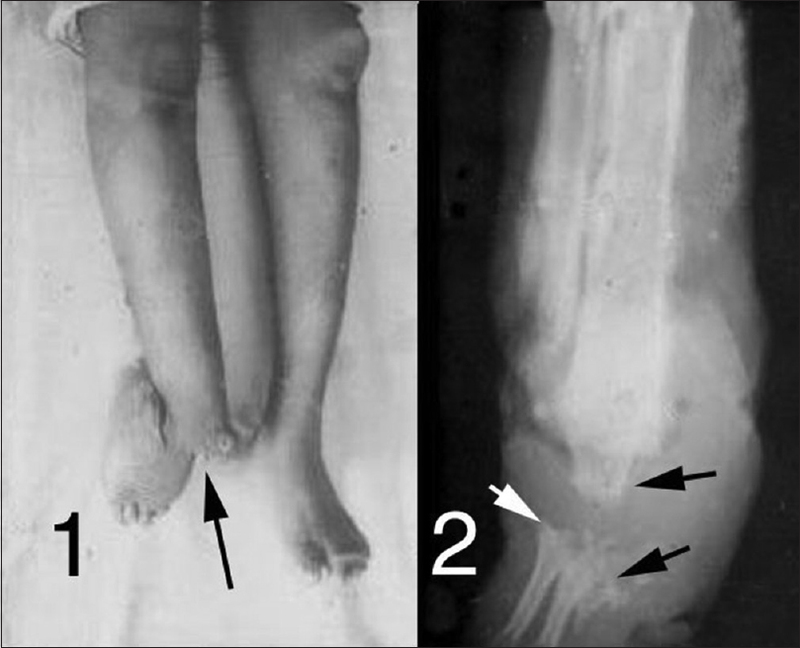 Interestingly cysticercosis, which is widely prevalent all over India, was quite uncommon in Kerala. This research taught me some valuable social lessons as well. We found that teaching the mothers and women-folk regarding the hereditary causation of their children's disease and how it could be prevented by avoiding consanguineous marriages was a very effective way by which the expected results could be achieved. We could eradicate that disease which was quite widespread, by this simple technique. It was the first time I found that a clinician can as well be a good social worker if he/she is ready to part with some of the valuable time available for such work. This study is still the largest series of hereditary sensory neuropathies published in India and has been quoted by many doctors working in this field. It pains me even now to state that when one of my senior colleagues was asked to compile the data regarding the research of peripheral nerve disease in India, he conveniently forget about our work, though he incorporated Indian studies on muscle diseases too! When I cornered him once about it, his innocent reply was that somehow it was missed and in the next edition my studies would certainly be included. There was no such second edition for that book. It would be the same story of many Indian workers in small centers as their own colleagues would hunt out and include even works published in some obscure journals from some unheard of countries, neglecting the work done and published in India. I can view them dispassionately now after all these years - nothing matters, my papers, his review, his books, other books. It is like Omar Khayam who said 'The Worldly Hope men set their Hearts upon/Turns Ashes - or it prospers; and anon/Like Snow upon the Desert's dusty Face/Lighting a Little Hour or two - is gone'. Back in 1970s, we were just five doctors practicing neurosciences in Kerala (of course, there were one or two more 'neuro-psychiatrists' and physicians 'interested' in Neurology who were not in our group). In 1976, we decided that we should have a small association, if possible a chapter of Neurological Society of India in Kerala. Though we tried, this was not possible as Neurological Society of India did not allow any state chapters then. Therefore, my friends Dr. M. Sambasivan, Dr. K. Srikumar, Dr. S.K. Ramachandran Nair and Dr. G Iyyer came to my house at Calicut in February 1976 and we started a society, which we named 'KINS' (Kerala Institute of Neurosciences). 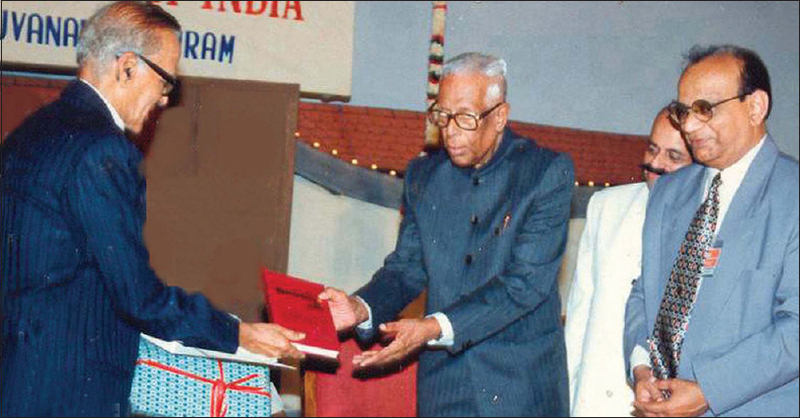 We decided to hold its academic sessions once every three months and host the annual session of the Neurological Society of India in Trivandrum in 1978. In the next session organized at Cochin by Dr. P Srikumar, Dr. Jacob Chandy also came to bless us. We hosted the 1978 session of the Neurological Society of India very successfully in Trivandrum when there was no convention center in Trivandrum and no major financial help from pharmaceutical or equipment firm was available. Every single work of arranging everything from pamphlets, notices, academics, conference venues, accommodation, food and beverages, and everything else had to be done by us. There were no event managers and the only physical help we got was from undergraduate medical students who volunteered for work. There were certainly quite painful experiences also. One of our colleagues decided not to participate at all and tried to sabotage whatever efforts we made. The conference was a perfect success and we still feel proud that we as a foursome could pull it off in Trivandrum Medical College, our alma mater. I had a sojourn abroad for a period of just more than three years for a Commonwealth Scholarship and to develop a department of Neurology in a foreign country. This gave me the privilege to get acquainted with great British teachers of Neurology like Sir John Walton (of New Castle upon Tyne – 1922-2016, of Muscular Dystrophy fame), Prof. J. A Simpson (1922- 2009 of Glasgow, who initiated the study of neuroimmunology in Myasthenia Gravis), and Prof. David Marsden (of National Hospital for Neurology and Neurosurgery, famed for his work on movement disorders and others). When I returned, I was posted in Trivandrum Medical College. Though started only in 1951, Trivandrum Medical College, the first such institution in the Kerala state, played a great role in galvanizing the social changes of our Malayalee society. We are indeed proud that the 'Kerala model of health care delivery system' was mostly due to the contribution of the students of this institution. But the sad economic status prevailing in those days did not allow the proper development of the specialties. The plight of specialty departments was terrible. I had to replicate the work which I did in Calicut to build up a Neurology department in Thiruvananthapuram also. The number of patients attending the outpatient clinic in Thiruvananthapuram was as massive as those found in Calicut. One temporary tutor was posted in my department. Though with great difficulty, the bed strength was raised to twenty, we had more than thirty to forty admitted patients at any one time including those admitted in 'pay-wards'. As the sole practicing neurologist, the entire work of taking care of the governmental officials and legislators was an additional burden for me. My work lessened to some extent after I started the DM Neurology course in 1983 in Trivandrum. The laboratory facilities were minimum and the troublesome work was conducting neuro-radiology investigations on our patients, as was the issue during my Calicut days. Those were the pre-CT days when the general radiologists kept neuro-radiology at an arm's distance. We were allotted three days in a week for radiology and the other three days were for the neurosurgeon. Carotid angiograms, pneumoencephalograms and myelograms were routinely conducted. I dare not think of those quite painful procedures of yesteryears. Doing percutaneous carotid angiograms using the Cournand needles was a tricky craft which we perfected. If more than one puncture was required for a person, it would waste our entire day. Getting proper arterial, capillary and venous phases during the angiographic procedure required great mental and physical timing synchronized together by the neuroscientist and the radiographer. The pneumoencephalograms (PEGs) were very painful procedures and sometimes the injected air would not get into the ventricle. Even failed PEGs would teach us a lot. To pick up the posterior fossa abnormalities, the fourth ventricle had to be delineated. This required a PEG autotomogram that was conducted with the patients in the sitting position and being made to swing their chin sidewards, back and forth. It was a very annoying and painful process by any count. Myodil myelograms were equally cumbersome procedures. The thick oily irritating myodil would remain in the spinal theca for years. But then, these were the only radiological investigations available at that time. The first time I saw a computer was in the mid 1970s in UK in the electrophysiology laboratory of Southern General Hospital, Glasgow, where there was a very large computer occupying almost an entire room. It was for single fiber electromyographic studies (sf EMG), which was a craze during those days. I have heard of massive early computers like the 'Whirlwing', 'Colossus', 'Pegasus', 'MANIAC' (Mathematical Analyzer, Numerical Integrator and Computer) which occupied much more space. At that time, we had not anticipated that these computers would soon become very common gadgets for every one. The arrival of CT scan in 1970s was nothing short of a miracle. Even the first generation of the scan with its fuzzy pictures was great, as per our then existing standards of neuroradiology. Our first ever exposure to the CT scan was while we were in Amsterdam at the time of World Congress of Neurology in 1975. 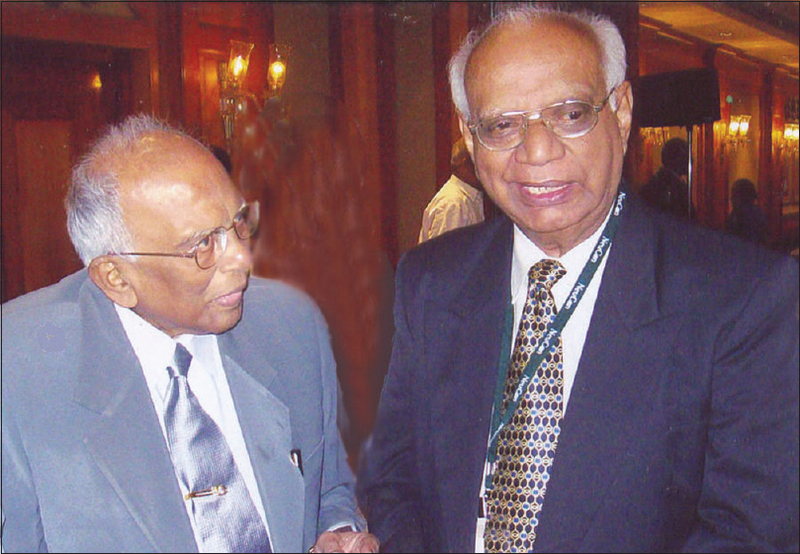 Dr. Krishnamoorthi Srinivas (1933-2017) and I, who attended that session asked the organizers to give us a few slides of the CT scan pictures. When I presented those fuzzy pictures at one of our local meetings, the enthusiasm of the crowd was extremely surprising. CT scans and later magnetic resonance imaging (MRI) scans became common place investigating tools in the neurosciences by 1980s. It was ony then that we felt that the BC era (Before Computer Era) had finally come to the end. Unlike in many places in India, members of Neurology and Neurosurgery in Trivandrum maintained a very cordial relationship right from the beginning. I thank my Neurosurgery colleague, Dr. M. Sambasivan, for that. We could jointly organize many continuing medical education programs and conferences, some of which were national conferences too. 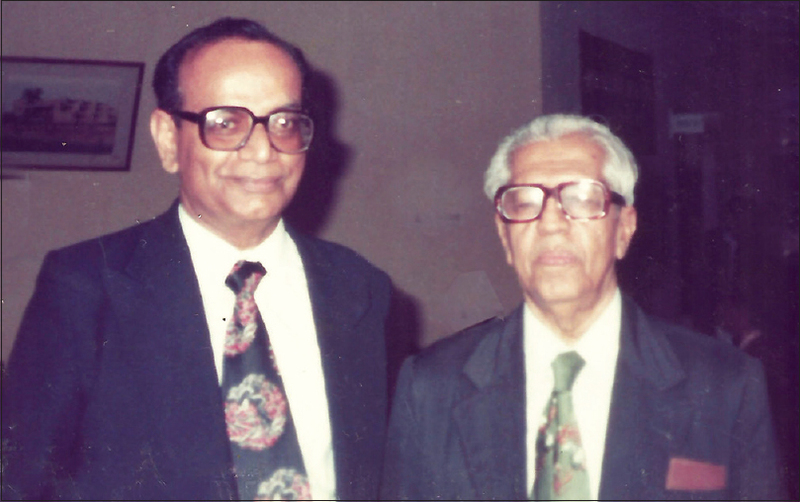 Both of us were quite active in the Neurological Society of India. It was rather unfortunate that the close-knit friendship among the neuroscientists gradually became lesser as their number became large. By 1991, a vertical split among the neurologists and neurosurgeons did happen with the formation of Indian Academy of Neurology, an organisation that was meant solely for the neurologist. It was to a great extent inevitable too. The exponential development of these two specialties that took place from the 1970s onwards, was a remarkable phenomenon. The surgical neurology went ahead with superb technological developments where as medical neurology focused more on the neurochemical, pathophysiological and therapeutic studies. These subjects had little common ground and the new frontiers of differing subjects could not be contained in a two or three day annual conference. Still, a large number of Neurology members of the Neurological Society of India showed a reluctance to burn the bridge with the parent society and they tried to have a middle path of reconciliation. I was elected as the President of the Indian Academy of Neurology in 1996 and still I continued in the Neurological Society of India and became its President in 1999. Most of the old-time neurologists are active both in the Indian Academy of Neurology and the Neurological Society of India even now. As luck would have it, the 1998 Annual Conference of Neurological Society of India was conducted in my hometown Trivandrum. As the President Elect, I planned to do something worthwhile for the society which made me what I am. The best thing that which came to my mind was to compile the history of the development of neurosciences in the different parts of India. The only way by which I could get the desired data was to ask all the past presidents of the society to write about their lives and times in different parts of India. They were indeed path founders of neurosciences in their regions. In fact, initially there were only a very few of them who agreed to write. Many were noncommittal and a few just opposed it. During my travels for different reasons to many parts of India for various academic purposes, teaching, lecturing, and examining, I could meet a large number of senior friends who understood the historical value of the planned book. Do they know what I am doing? For time is endless and the World is so large'. I am indeed glad that I could pay a little more attention to my hobby of writing once I left the Medical College service. I used to write regularly during my school and college days but left it when I entered the Medical College in 1960. I took it up again fairly seriously after a gap of nearly four decades. It was quite rewarding that I could publish more than nine books in Malayalam- all of them were received very well by the public. One of them even bagged a Sahitya Academy Award. This was the first such occasion that a practicing doctor was given such a coveted honor in Kerala. Well, I am contended with what I have done and I firmly believe that contentment is the highest form of happiness. 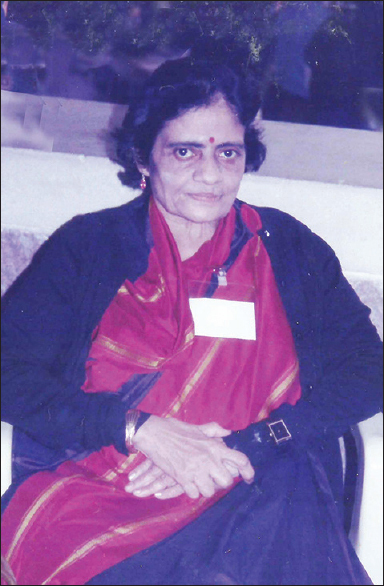 Ramamurthi B. Uphill All the Way: Autobiography Achanta Lakshmipathi Neurosurgical Centre. 2000. Nair KR, Sahasranamam KV. Multiple sclerosis in Malabar. J Assoc Phys India 1978;26:899-93. Spillane JD. Acrodystrophic neuropathy. London. Oxford University Press. 1969. Nair KR. Acrodystrophic neuropathy. Neurol India1976; 24:94-99. Nair KR. Acrodystrophic neuropathy in Malabar. Excerpta Medica 1977; 420: 296-7. Nair KR. Acrodystrophic neuropathy in Malabar. J. Assoc Phys Ind 1978; 26:347-51. Peethambaran AK, Chandran RS. Government Medical College Trivandrum – Fifty years of Neurosurgery in Kerala state. Neurol India 2017;65:348-59. Nair KR. Evolution of Modern Medicine in Kerala. (2nd Ed). Kottayam. DC Books. 2017. Nair. KR. Evolution of Neurosciences in India. Neurological Society of India. Trivandrum 1998. Pandya S. (Ed) Neurosciences in India: Retrospect and Prospect. 1989. Neurological Society of India, Trivandrum and Council for Scientific and Industrial Research. New Delhi.